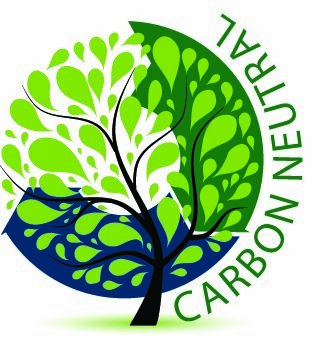 A carbon neutral program was launched earlier this year. Retail Resource is concerned about the environmental impact that our everyday business practices leave on the planet. Scientific consensus states that carbon emissions must be reduced by 80% by 2050 to avoid temperature rise more than 2º Celsius. We are taking several steps to reduce our carbon footprint; after all, the threat of climate change is something that affects all of us. Our operations department launched a carbon neutral shipping program earlier this year. All of our small packages are shipped using Fed Ex under the carbon neutral program. The carbon generated will be decreased by 99% through the purchase of carbon credits. These credits support programs that help reduce carbon in the atmosphere such as renewable energy, forestry, windmills and solar power. One of the biggest changes to increase the efficiency of our building was the installation of solar panels on our rooftop. There are a total of 3,840 panels that have produced approximately 31% of the company’s energy use since 2012. Fixtures that control the flow of water in the building have been upgraded, resulting in a 30% decrease in water usage. Last year LED lighting was installed in our warehouse which decreased kilowatts per day consumption by 50%. The recent upgrade of the HVAC system resulted in a reduction of energy used to operate the system. Our warehouse is actively using 100% recyclable corrugated shipping cartons as well as recycled paper for inner packaging. We recycle 70% of waste which includes; metal, paper, plastic, wood and cardboard. Employees are encouraged to recycle paper, plastic bottles and aluminum cans. Marked recycling receptacles are placed throughout the building. A green cleaning and purchasing policy has been implemented for the company. We realize that our customers are also concerned about the impact they have on carbon in the atmosphere which is why we strive to offer eco-friendly products. These products must meet the following standards to be labeled as eco-friendly. Look for this logo throughout our catalog to find the eco-friendly products that we have to offer.